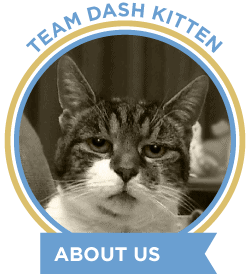 Today we make a real departure from our cat blog focus to welcome Healing Whiskers, a most unusual therapy team, but one we feel needs to be honoured. 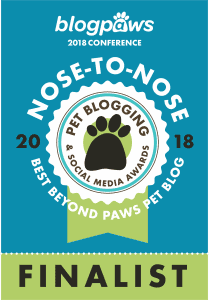 Finalists in 2017, Healing Whiskers are also to be found in the Best Beyond Paws Pet Blog category of the BlogPaws® Nose to Nose Awards in 2018. Therapy rats are unusual but, like therapy cats, their star is firmly on the rise. Therapy animals can make a huge difference to many lives round the world, and seeing these great rats in the spotlight is very positive. Read on to find out more about Team HW. Where in the world are Healing Whiskers based? Oliver and I are in Rome, Georgia but sometimes travel outside of Rome for therapy events. .
What is your favourite part of creating your blog? I love informing people about what we do, and what exactly therapy rats are! Our blog is becoming an informational hub for people who want to do this themselves, and I am happy to share information about what goes into therapy rats. What kind of readership have you discovered enjoys your blog, and learning about Therapy Rats? Across our social media pages, we have seen the most interaction on Tumblr which is mostly the younger crowd in the teens, 20’s, and 30’s. 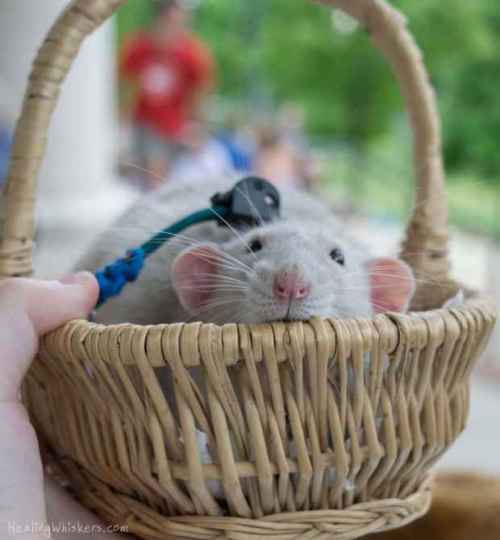 The unique and cute aspect of a therapy rat is very appealing to them and we love our readers! The Joys and Challenges of being a Rat in the Blogosphere? We are one of just a few and we are all resources for future rat owners. I dread that someone doesn’t do enough research and impulse buys a rat because they saw a cute photo online. But, then again, you have the very few who do their research and become amazing rat parents. That makes me happy! 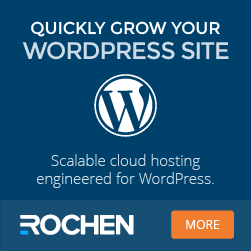 I love the uniqueness of our blog and how people find joy in our content. Please suggest some of your favourite posts for our readers to discover more about you. 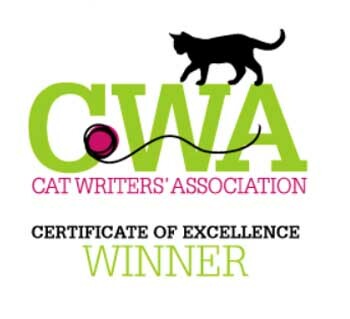 Our thanks to Healing Whiskers for being part of our spotlight on worldwide blogs. Discovering many new and influential stars of the blogosphere makes our worldwide series exciting reading. Check out our up-to-date feature page. I was so thrilled to meet Oliver and his mom at Blogpaws. Oliver even crawled on to my arm! He felt soft and was so friendly. I’ve always had an interest in rats. 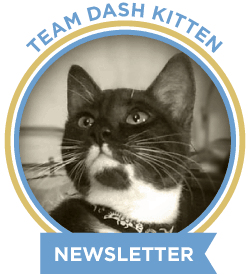 Unfortnately the Wonderpurr Gang does too, so… Thanks for this great interview. Thanks for introducing us! I grew up with white rats as pets and they are fantastic! Love this! I used to have a rat named Sonic when I was younger. He was just as smart as any dog I have ever owned! I taught him tricks, he sat on my shoulder! Rats are so cool! I met Abby at BlogPaws and love her unique blog and rats. I am so glad she is being recognized. Rats are very cute and surprisingly smart and sweet. I can imagine they could make great therapy pets for some. Nana, one of the stars of our Backseat Barkers series has a trained cat and several trained rat siblings- one came along to set. Like Abby’s rats, they are amazing. Therapy rats are an interesting idea. I think we have therapy bunnies here but not rats. What a wonderful post! I so enjoy learning about fellow bloggers. 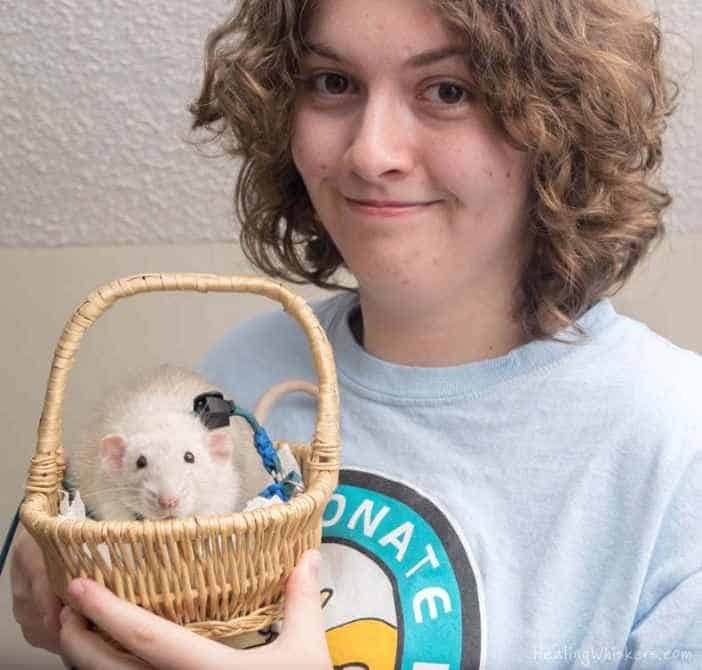 I did not realize rats can also be therapy pets, but I can certainly understand how as one of my best friends in high school had a white pet rat she named “Ben” (yes, after the Michael Jackson song!) and he was so sweet! He spent many hours with us just hanging out and listening to music! 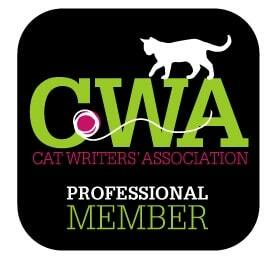 Thanks for sharing this interview with Healing Whiskers! Nice interview. Last year was the first time I held and touched a rat and I enjoyed it. I didn’t realized there were therapy rats. I adore them! 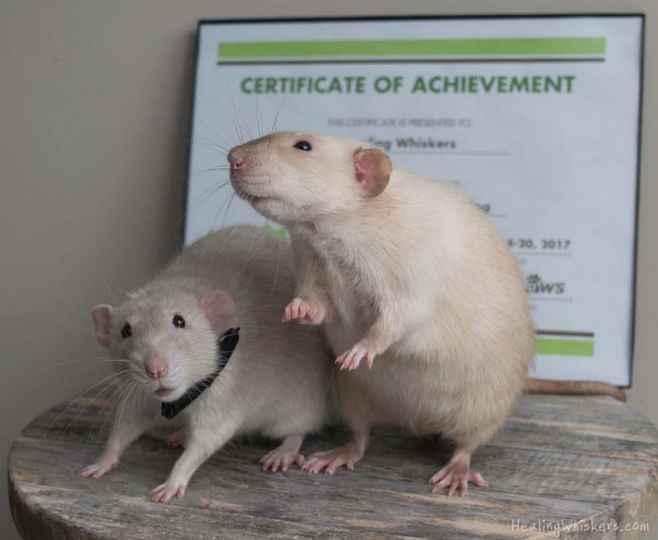 Following their blog and meeting them in person has really changed my perspective about rats as pets. I have learned so much – and they are just so adorable! The first time I heard of Therapy Rats was on Chestnut Mutts and I was intrigued. Although I haven’t interacted with a therapy rat, I imagine it would be pretty fun! They are seriously SO CUTE! Ahh, I hope people make informed decisions before adding a new pet too, of any kind, but all you can do is be a shining example of great rat ownership. I love what Healing Whiskers is doing. Keep at it! I wonder if Montecristo would like a rat as a friend… I would be worried mind you, Chihuahua’s are known to chase them and well… not for play and I couldn’t live with that. I love the idea of rats as pet, and therapy rats are awesome! My daughter wants a mouse but I’m holding out because of the dogs. Gonzo has a big hunting instinct. I just can’t risk it. 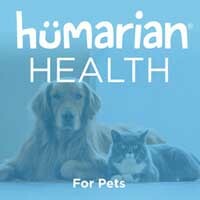 Looking forward to meeting the team at Healing Whiskers at the conference next week. I had no idea that there were “therapy rats” out there. I’m quite fearful of anything that crawls, especially rodents.Eek. Not my cup of tea but more power to you (and the rats). It’s nice to know these rats break the stereotypes and are providing beneficial therapy to others. This is so awesome! I knew of Abby’s other blog, Chestnut Mutts, but I didn’t know about her therapy rats. They are adorable, and I look forward to following them! I love that they are sharing the love by doing therapy work, and also educating through their blog. Thanks for the wonderful interview. 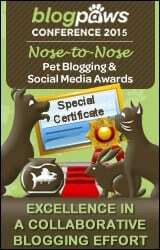 Hope to meet them at BlogPaws! Oh my goodness, how cool is that, not to mention adorable! We really enjoyed reading about their therapy work! We didn’t know there were therapy rats. Thanks for introducing them to us. And good luck to them in the N2N awards. I don’t remember hearing about Healing Whiskers before … but I LOVE the concept. I love that the focus is on how cute rats are AND information that every rat parent should know. So many people make pet and breed decisions based on appearance and don’t take into account the natural traits and needs of each particular pet/breed. I’ve seen comments like “If I saw a cat like that, I would buy it” in reference to a hybrid domestic/wild cat. 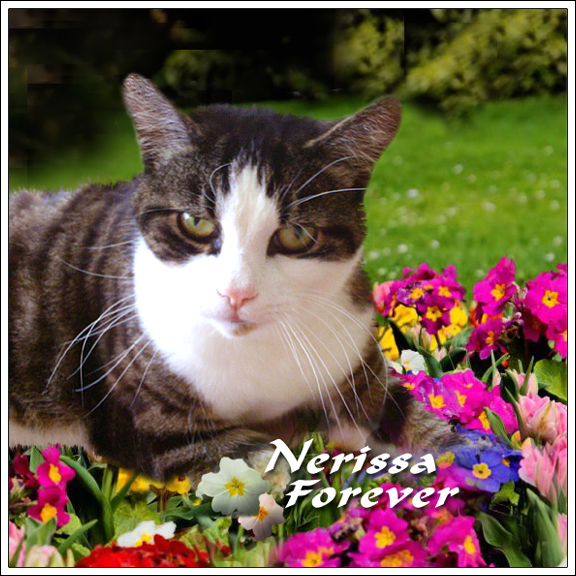 It truly upsets me – not only for the sake of the pet whose parent is oblivious to the unique needs of the particular pet – but also that somehow a beautiful cat is adoptable …. but a plain old tabby isn’t. 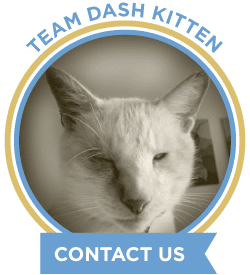 My plain old tabby saved my life – he healed wounds – he is the only reason I’m alive … the only reason I’ve learned to actually live and not just survive. OMC, I didn’t know about these guys! My human loves cats best, but she would be delighted to visit with a therapy rat! I love Healing Whiskers, I found them on Instagram.